Products | Hectic life. Healthy girl. Looking for a dairy free yogurt that’s still loaded with protein and probiotics? 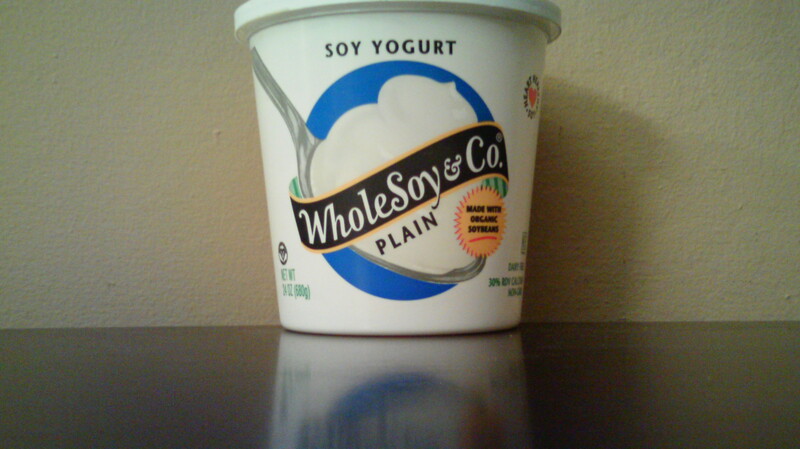 Whole Soy & Co. Plain Yogurt cannot be beat! It’s a low fat, low cholesterol, vegan (dairy free), gluten free breakfast food that is not only delicious, but healthy for you too. I recommend mixing it with honey and fruit for a delicious parfait! Get some at your local Whole Foods, Safeway, Mollie Stones, or other specialty food stores. A product that’s safe for lactose intolerance and Celiac Disease. And nothing feels better than a hot bowl of soup at the end of a cold day. Enjoy creamy, thick soups? Try Trader Joe’s Organic Vegan Gluten Free Split Pea Soup seasoned with sea salt, cracked pepper and basil. It’s fat free and has only 150 calories per can. Microwave on high heat for 1 min 45 seconds and enjoy! The best part: it’s only $1.99 at your local Trader Joe’s. Suitable for those with lactose intolerance or Celiac Disease. Not a fan of just split pea? Add ham and cheese!